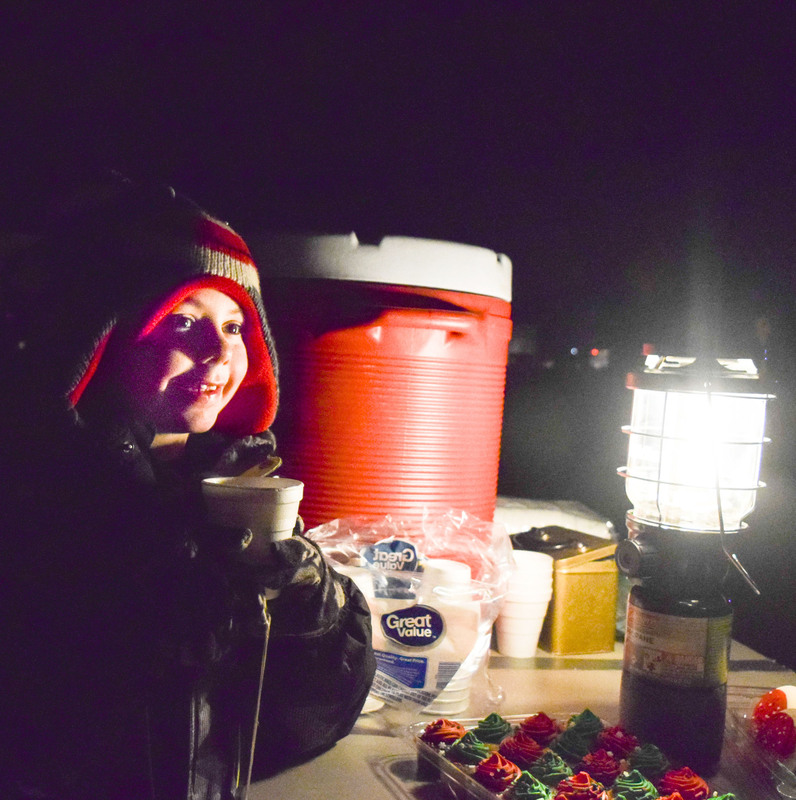 Cub Scout Kullen Martin, 8, is bundled up for the frigid temperatures as he enjoys warm apple cider on Saturday night. 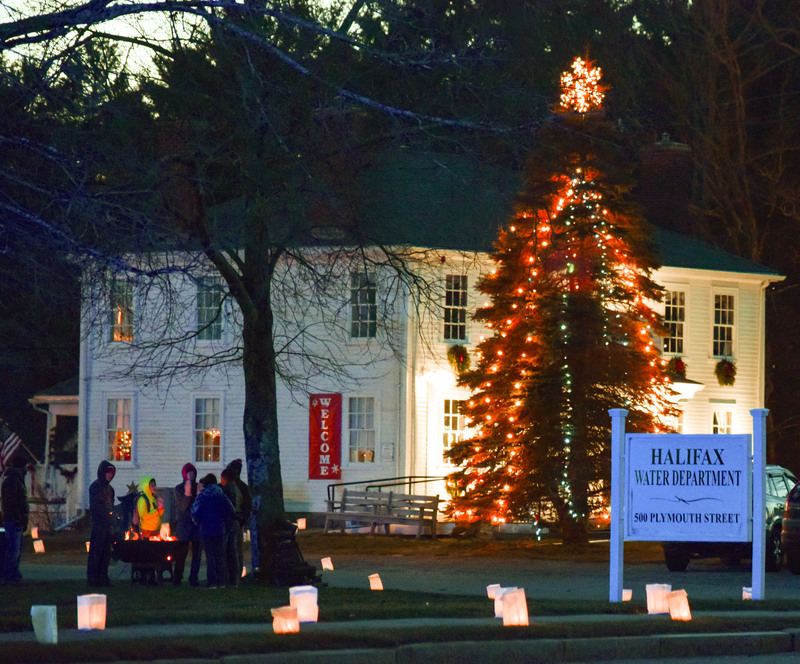 Luminaries line the sidewalk to Popes Tavern as the Boy Scouts keep warm near the fire on the green. 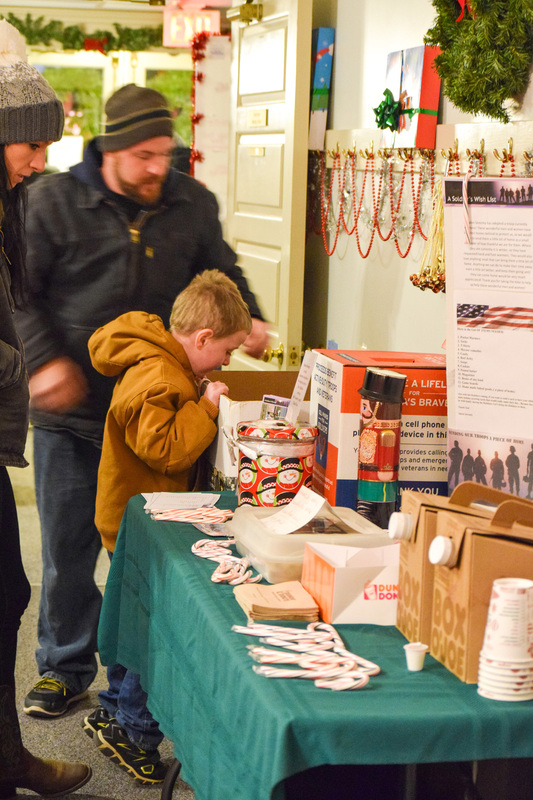 Colin Greenwood, 5, of Halifax helps Rob Firlotte place donations in the collection box at the Salon Serenity cards and care packing station for soldiers overseas as mom Jenni Greenwood (left) looks on. 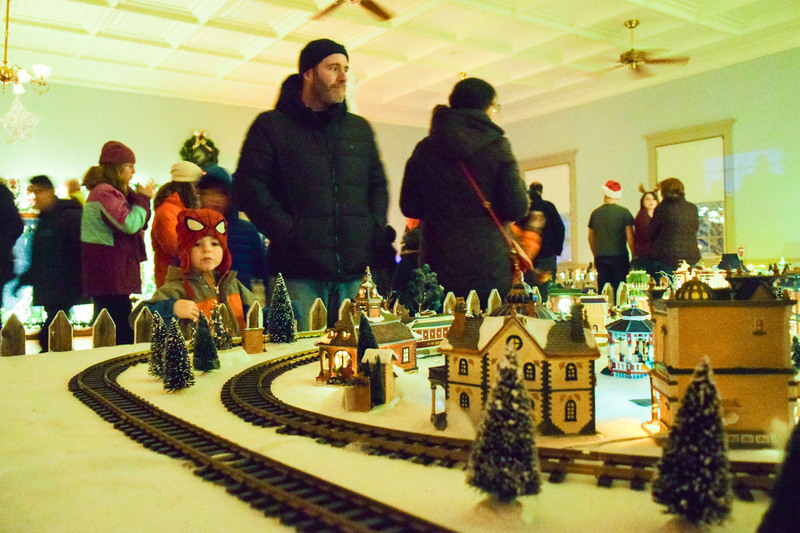 Sam Krueger , 3, of Plympton is mesmerized as the train goes by in the Halifax Town Hall at Holidays in Saturday Dec., 10. 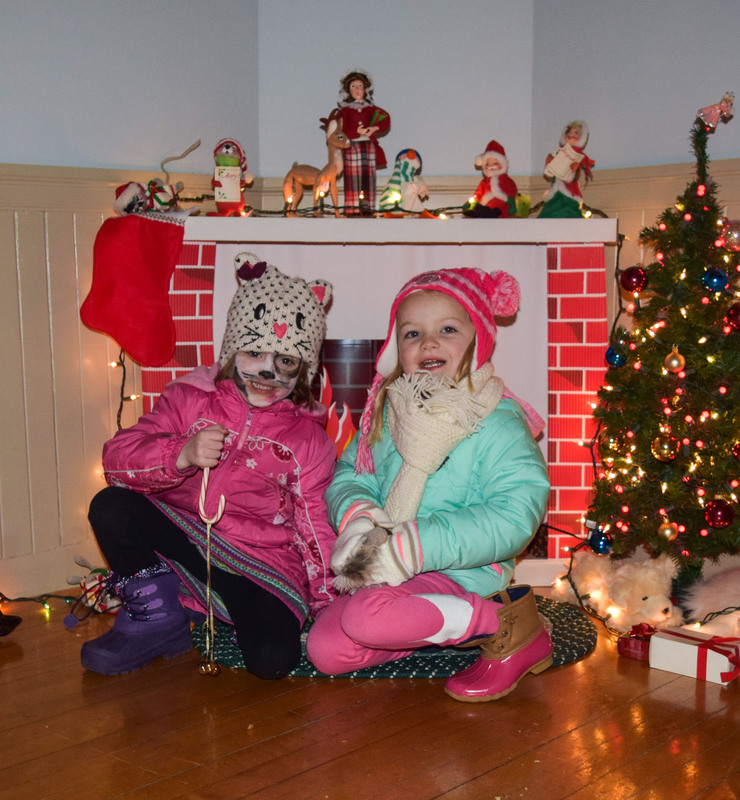 Hailey Adams, 4 ½ of Rockland and Payton Boehm, 4 ½ of Braintree share giggles and a sweet treat inside the Halifax Town Hall. 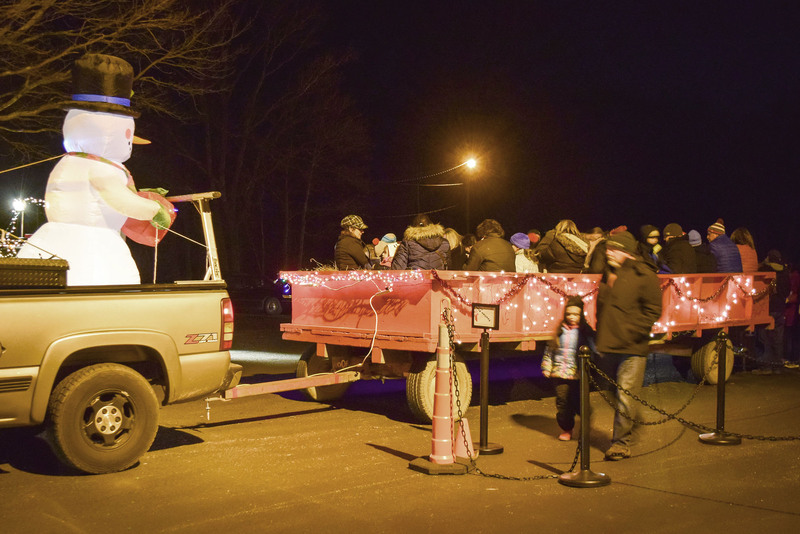 Edward Ubertis, and daughter Ryann, 6, of Halifax wait for the very popular (snowman) hayrides. 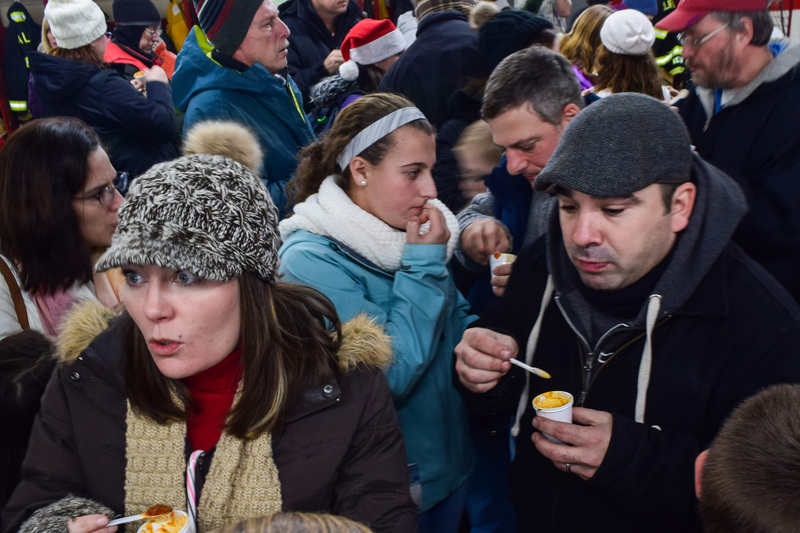 Taste testing was in full swing at the chili cook-off inside the Halifax fire station on Sat. night. 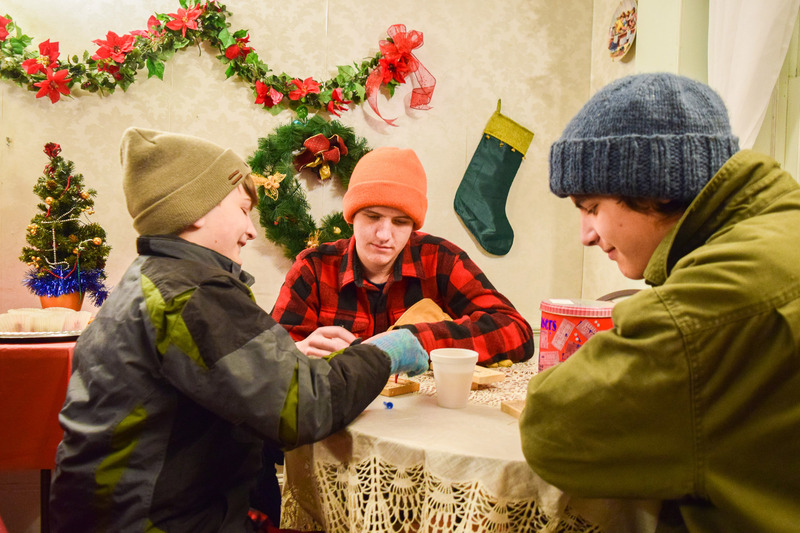 Brotherly love at left clockwise Ty Gavin , 11, plays tic tac toe with brothers Lucas, 17, and Jack, 15, at the Pope’s Tavern. 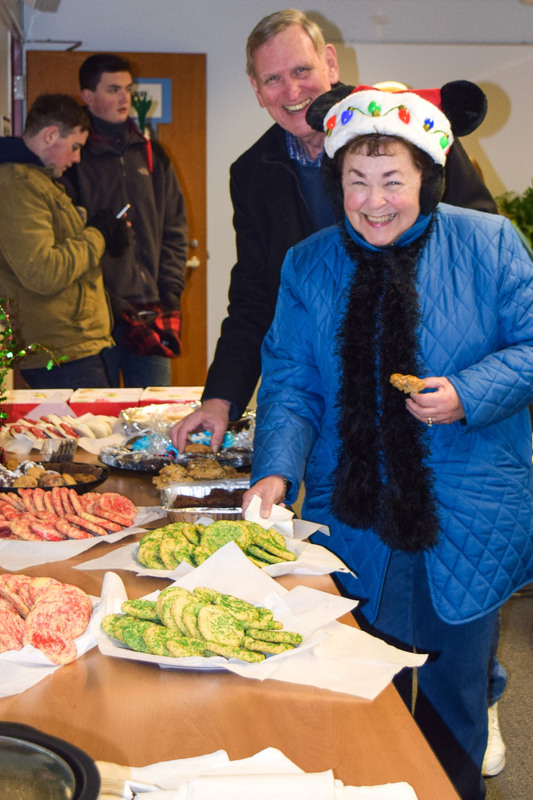 Elaine and Jerry Joy of Christmas Tree Lane Halifax share a cookie and laughter at the Holmes Public Library during Halifax holiday celebration. 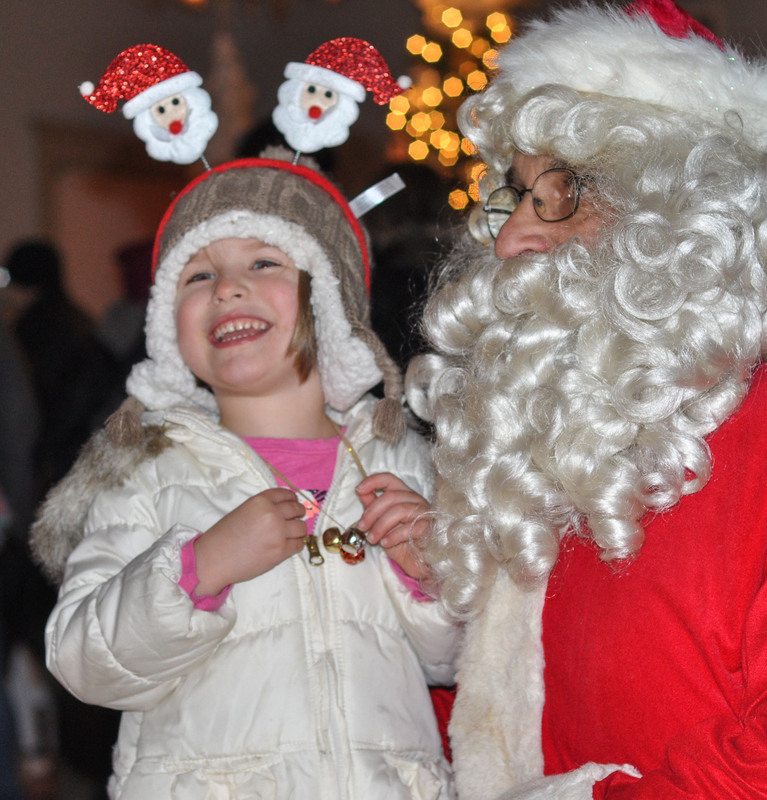 Harper Lyman-Yelle ,4, of Halifax laughs as Santa tries to guess what she wants for Christmas during the Holidays in Halifax on Dec. 10. Dancer’s World of Halifax took the stage for a festive holiday show at the Halifax Elementary School entertaining nearly a full auditorium.